This paper is subject to edits. A proteinaceous complex that derives from oral filament cultures has been identified. This finding, along with the significant presence of iron within the same culture growths, is paramount in the understanding of the physical nature of the filaments characteristic of the condition. The method of determination of this complex has been protracted and difficult, primarily because of the lack of resources that are available to achieve a more direct knowledge of composition. 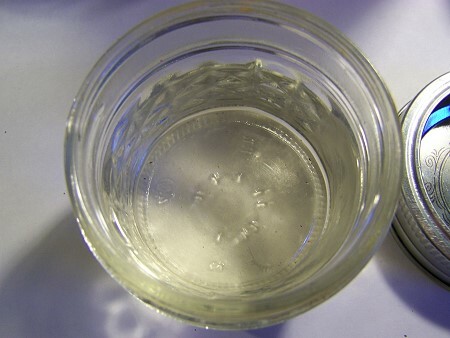 The work has been conducted over a period of several months, and the results have been arrived at through a combination of deductive methods, qualitative chemical tests, column chromatography, analytical chemical separation techniques, and visible light spectroscopy. Methods of thin layer chromatography, distillation and electrophoresis have also been included. Additional resources, should they become available, can hasten the process of discovery which remains in midstream. This declaration itself has been on hold for more than two months, until the opportunity of presentation has afforded itself. To give an example of the importance of protein discoveries, the success in curtailment of harm from the AIDs virus has been accomplished largely from the massive efforts that have been made to understand the protein complexes involved. Proteins, upon discovery of uniqueness, are themselves patentable and are the basis of much of the pharmaceutical industry. This exists as a controversial subject in its own right. With the proper equipment and resources, many of the questions and problems posed by the topic of this paper could be answered directly and promptly. Proteins are classically designated as the “building blocks” of nature. It is quite common for approximately one-half of the composition of an organism to be of proteins. Understanding this aspect of the filament nature of the Morgellons condition is obviously of the highest priority of any biochemical research project; to date, however, this information has been essentially non-existent or scant. A recent report by the Centers for Disease Control (CDC) raises the ante of this controversy by themselves declaring a significant percentage of the materials studied to be composed of proteins. The report subsequently proceeds to ignore any direct presentation of laboratory results and strategically uses terms such as “likely” and “similar” versus a direct presentation of chemical composition to the molecular level, as is required. The report also eventually leads to a pre-directed “conclusion” that transforms the physical presence of these proteins into the metaphysical world and classifies the manifestation of this physical and laboratory presence as a continuing “delusional” condition. As another illustration of the inexcusable delay and failings of this report, let it be known that when a critical and unexpected health situation arrived on the scene some time ago, namely the Hantavirus crisis, the CDC had the issue contained, sourced and identified within a couple of weeks of investigation. Six years later, several hundred thousand dollars more, in question of collusion with the Armed Forces of Pathology, and we remain at the same and exact original point of agenda driven policy. This shirk from proper investigation and disclosure of factual results is a disservice to the public welfare, benefit, interest and health. Suffice it to say that the objective of the scientific method is to test and resolve a hypothesis, and that it is not to “generate hypotheses” as a primary goal. Such thinking is to encourage the arena of speculation and obfuscation versus resolution, which is exactly what has been accomplished with the recent report. This is not science. The reader is requested to read the report from a analytical, objective, scientific and critical thinking perspective and not to be duped by the vagaries and critical exclusions that are apparent within the so-called “report.” The ludicrousness of the CDC report and the abject failure to adhere to the principles of scientific resolution will not be discussed further here. This researcher will now proceed, from a base of limited resources, to describe the laboratory results that derive from the efforts of the Carnicom Institute. The writer fully acknowledges that many difficulties remain and that many questions remain unanswered. Certainly some very specific information desperately needed can not be had at this point. The writer allows for the possibility of error and insists that further verification or refutation of the work is required. It is, nevertheless, the state of knowledge apparent at this time. An apparent metalloid dipeptide complex, likely composed of an coordinated ferric iron (III) complex. The amino acid cysteine appears to be dominant in the composition. There is also evidence emerging for the presence of histidine. The most likely dipeptide forms are therefore cysteine-cysteine (i.e., cystine form) or a cysteine-histidine iron dipeptide complex. Additional amino acids will remain a part of the investigation, as well as the variability in the spectrums as a function of pH. There may be error within this assessment of the nature of the complex, but it is believed at this point to be an accurate statement. There are intellectual property issues that may at some point become involved with the statement made above. The Institute is fully aware of the importance of, and economic value of, protein identification and potential discovery. The Institute at this time, however, does not possess the means or resources to evaluate the complex at the molecular level, which is required. Equally, the means to pursue patent interests or protection does not exist and pharmaceutical interests may eventually emerge. The Institute will instead place its focus on the disclosure of information that serves the public benefit and welfare, such that further and needed urgent research can take place. 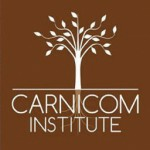 The Institute is on record as opposing any proprietary developments that may develop from this research without the involvement of the Carnicom Institute. The public health interest and welfare is to remain as the paramount goal. 1. Extended observation and analysis of a column chromatography process of separation of the protein complex from a prepared culture solution. In particular, the interaction of the culture with copper salts became an important factor in the process of identification. 2. The use of the qualitative biuret test for proteins. 3. Spectral analysis of a control solution of a dipeptide compared to the spectral analysis of the proteinaceous complex under study. 4. The use of ninhydrin applied to a solution of the complex on filter paper and then heated. 5. The reactions of a control set of amino acids, by color, upon heating in a ninhydrin solution. 6. The spectral analysis of the same set of control amino acids mentioned above. 7. The behavior of the proteinaceous complex when subject to N-acetyl cysteine and ninhydrin. 8. A positive test for the existence of iron after reduction by N-acetyl cysteine. 9. A spectral comparison of the amino acid cysteine with the proteinaceous complex under the condition of reduction and in combination with a heated ninhydrin solution. Let us briefly describe each of these factors to gain a better understanding of how the assessment has been achieved. A strong reliance on a series of photographs will be made to summarize the complex process that is described above. A chromatography column in operation. 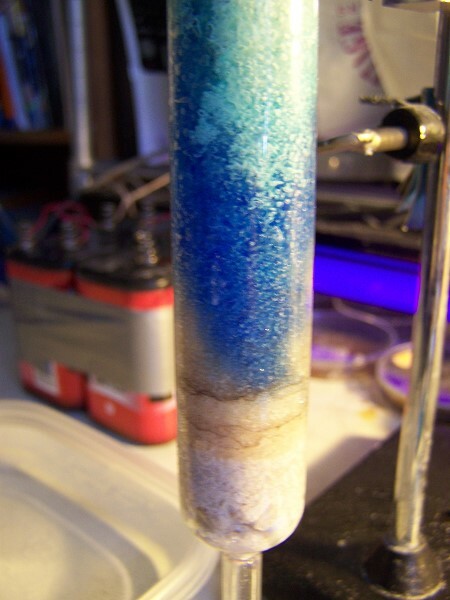 A great deal of time and effort has been devoted to the development of column chromatography methods and techniques as it applies to the decomposition problem. Column chromatography is a method of separation of a mixture into various constituent components. A great deal of trial and error is required to develop a successful column. This has been achieved with a fair degree of reliability at this point in the research. The specific details of proteinaceous eluate extraction will not be described in detail here. Many combinations of solvents, salt solutions, and adbsorbents have been used to eventually produce the proteinaceous eluate under study here. What can be stated is that a particular reaction of the culture solutions with copper salts is indeed of high interest. It will be found that blue copper protein compounds can be formed with the proper combination of the culture solution, copper salts. solvents, and adsorbents (stationary phase). The blue copper proteins have particular chemical compositional qualities, a majority of them that involve the amino acids of cysteine and histidine (Type I Blue Copper Proteins). This phase of the research was the first indication of specific amino acids that may be involved in the composition, and it led to an early interest in the specific amino acids of histidine and cysteine as a part of the composition. The proteinaceous eluate extracted from the chromatography column. It requires approximately two weeks of column chromatography to produce this volume. 2. The Biuret Test is an important test for the existence of proteins and peptide bonds. It can be used in both a qualitative and a quantitative sense. The test indicates the presence of peptide bonds, which are the basis for the formation of proteins. The classic test for the presence of peptide bonds is the presence of a purple color, as is shown here. A superficial examination of the literature will indicate that the Biuret Test can only be used to detect peptides with three or bond bonds present; i.e., a tripeptide or larger, and this will result in the purplish color shown. A dipeptide bond, however, has only two peptides that are joined together. A deeper search in the literature will reveal that the Biuret Test will indeed respond to dipeptide bonds, but that there will be a shift to a longer wavelength in the spectrum (ie., a shift towards the blue). 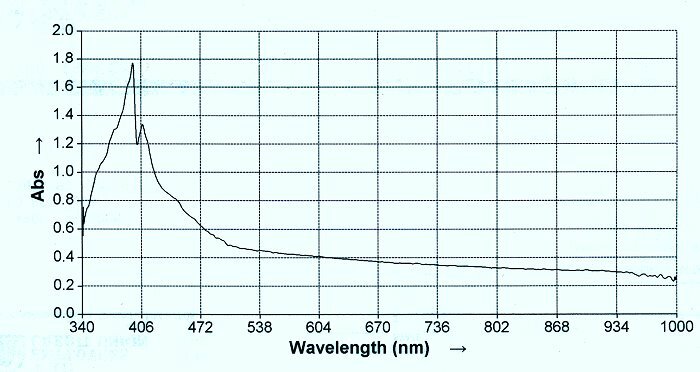 With careful examination, this shift in wavelength can be observed in a spectral analysis, and it is critical in determining whether a dipeptide or a longer peptide form is in existence. A reference and control spectral plot of Aspartame, a dipeptide. 3. The next level of confirmation is to establish that a dipeptide is present in the compound using the methods of spectral analysis in combination with the Biuret Test. 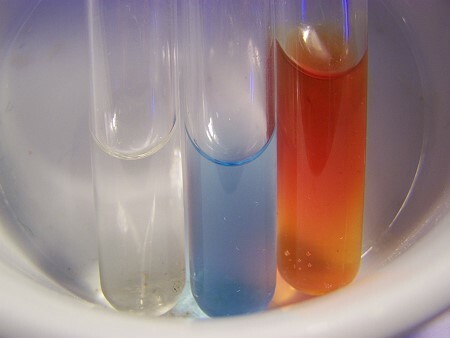 An early observation made with the Biuret Test applied to the eluate was that the color observed was shifted toward the blue end of the spectrum compared to the classical Biuret Test. It therefore became necessary to establish a dipeptide control case using spectral analysis. Aspartame serves as such a control, as it is a dipeptide (meaning two peptides joined together). 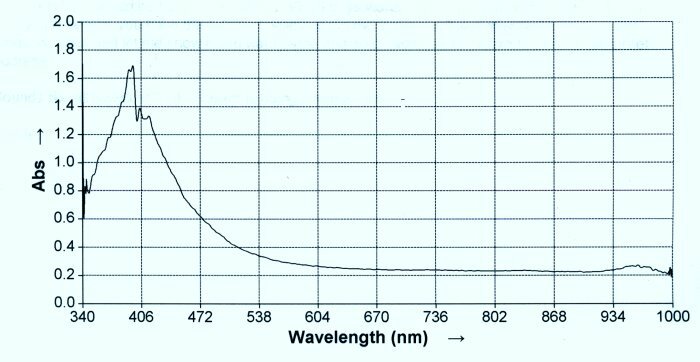 The distinguishing case of the shift in wavelength as referred to in the more exhaustive literature is therefore proven with the reference case shown here. A tripeptide or larger will show the peak at approximately 600 nm; the dipeptide will show the peak shifted to approximately 640 nm. The rise toward 340 nm is also a distinguishing characteristic. The match in the spectrums between the control and the eluate makes the strong case that a dipeptide is a core constituent of the proteinaceous complex under examination. A spectral plot of the chromatography column eluate. The correspondence and match with the reference dipeptide spectrum above is apparent. 4. The next level of confirmation for the existence of the proteinaceous complex is with the use of ninhydrin. Ninhydrin is a chemical substance that reacts distinctively in the presence of amino acids and heat. 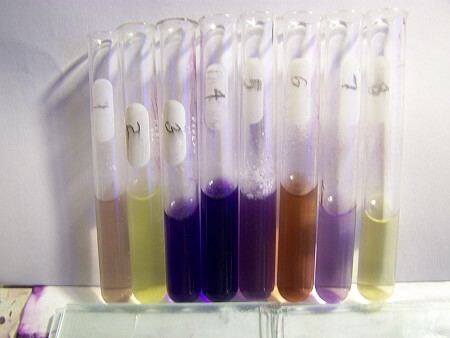 Amino acids turn a characteristic purple and or brownish color in the presence of ninhydrin and heat. The use of ninhydrin is one of the classical means for fingerprint detection in forensic science. The ninhydrin test here proves the existence of amino acids as further confirmation of the dipeptide assessment reached previously through spectral analysis. 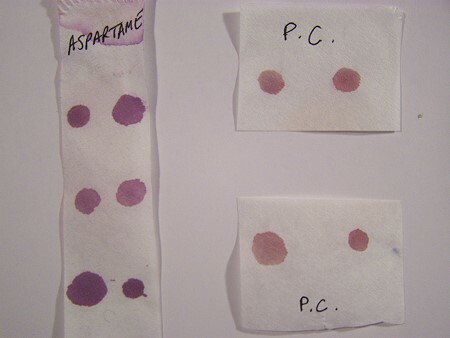 A ninhydrin test on aspartame as a control to the left and the same test on the proteinaceous eluate on the right. Both tests are clearly positive for the presence of amino acids. A reference set of amino acids subjected to a ninhydrin test in solution. Unique and identifiable color spectrums at a specific pH result for each amino acid. pH of the solution is an important variable in the color of the solutions that results. Number 7 in the set is aspartame in solution and number 8 is the solution under examination. 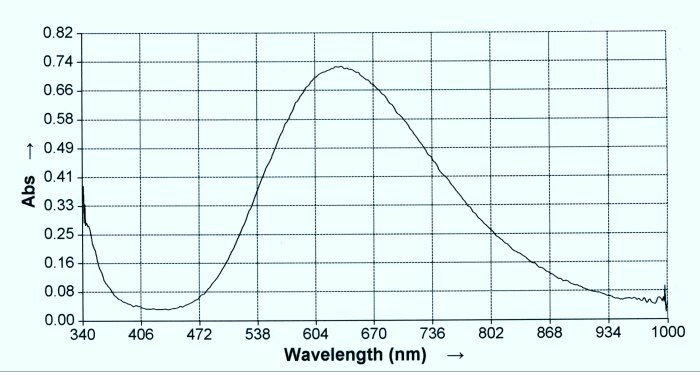 The visual agreement with cysteine (number 2) is apparent; spectral analysis confirms this assessment. 5,6. A reference set of amino acids solutions subjected to ninhydrin and heat is created. Unique and identifiable colors spectrums are created for each amino acid. Spectral analysis can now be used to create a set of reference spectrums for the amino acids. Such reference spectrums were created for argenine, cysteine, glutamine, glyceine, histidine, lysine. A reference spectrum was also created for aspartame; a particular dipeptide. 7,8. The first test tube in this set is the proteinaceous eluate. The second test tube is the eluate subjected to the Biuret Test; proving the existence of the dipeptide form (passes spectral analysis test in addition). The third test tube is the Biuret Test case subjected to N-Acetyl cysteine. At this point, the Biuret Test turns clear, indicating that the dipeptide bonds have been broken. When the resulting clear solution is tested for iron in the ferric state (II) the test is positive. 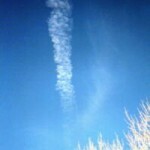 This is an important observation and chemical test result that will be discussed in greater detail in a later report. In summary, however, this test demonstrates the reduction of the dipeptide bonds and the release of free iron in the ferrous state (II). It will also subsequently be demonstrated that the amino acids contained within the dipeptide are now in their free form. 9. The last test to be briefly presented demonstrates the presence of the cysteine amino acid within the complex. When the eluate is subjected to N-Acetyl cysteine, the dipeptide bonds are broken and the iron is released in its free state. The amino acids, now in their free stated, can be subjected to ninhydrin and heat and a spectrum developed. It will be found that the resulting spectrum will match that of cysteine. This rather complex combination of tests and events will lead to the assessment presented earlier that the protein consists of a metalloid dipeptide complex involving iron in the Fe (III) state combined with cysteine amino acids. A reference spectrum for cysteine after being subjected to ninhydrin and heat. 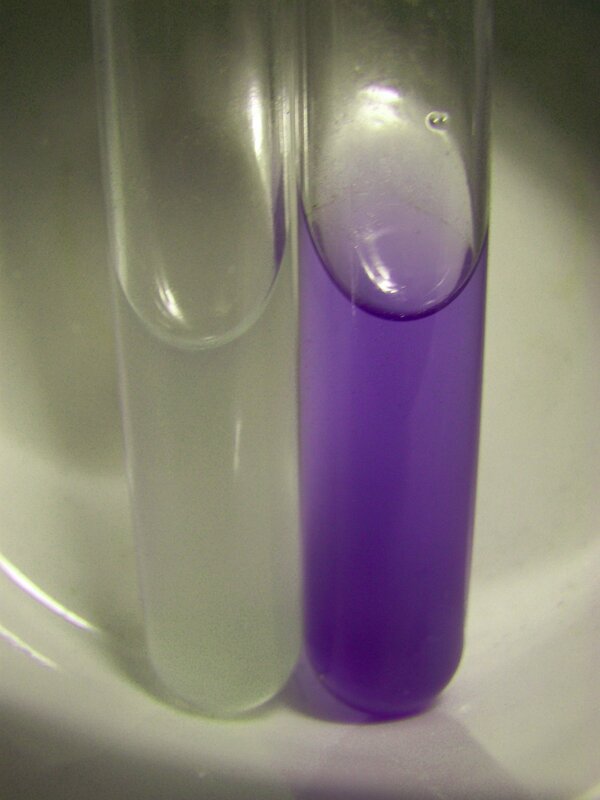 On the left is a case of the eluate being subject to the Biuret Test (originally blue-purple), then subject to the addition of NAC. The dipeptide bonds are broken and the solution turns clear. 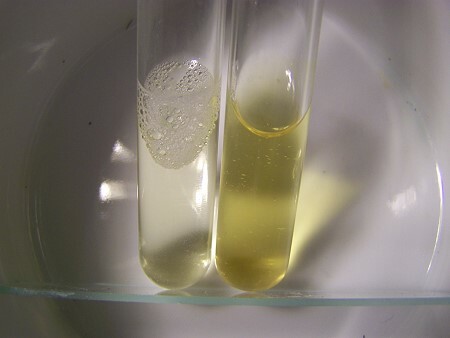 On the right, the solution from the previous step is subject to ninhydrin and heat. This produces the yellowish color in the tube to the right. The spectrum of this case is presented at the lower left, and matches that of the reference spectrum for cysteine. NAC with ninhydrin and heat by itself produces no such color reaction or spectrum. This result solidifies the assessment of the proteinaceous nature being a complex of both cysteine and iron. The spectrum of the proteinaceous complex after being subjected to the Biuret Test, N-acetyl cysteine, ninhydrin and heat. N-acetyl cysteine breaks the dipeptide bonds which releases the iron and the amino acids into their free from. When heated with ninhydrin, the spectrum of the amino acid will match that of cysteine as shown above. The spectrum must be taken immediately after removal from the hot water bath with ninhydrin.